Young Dr Delivers Woman's Baby But At Check Up Mom's Mouth Falls When Dr Says "I Have Something"
The birth of a child is the greatest blessing for parents. Dr. Erik Bostrom from Minnesota, who works as an obstetrician, is well aware of this fact. But his work in the hospital is not the case why the media all over the world is writing about him. At first, he helps women with the arrival of their child to the world, and then he takes care for a special action. He finds time for such tasks despite the fact that he has a very busy schedule in his work. 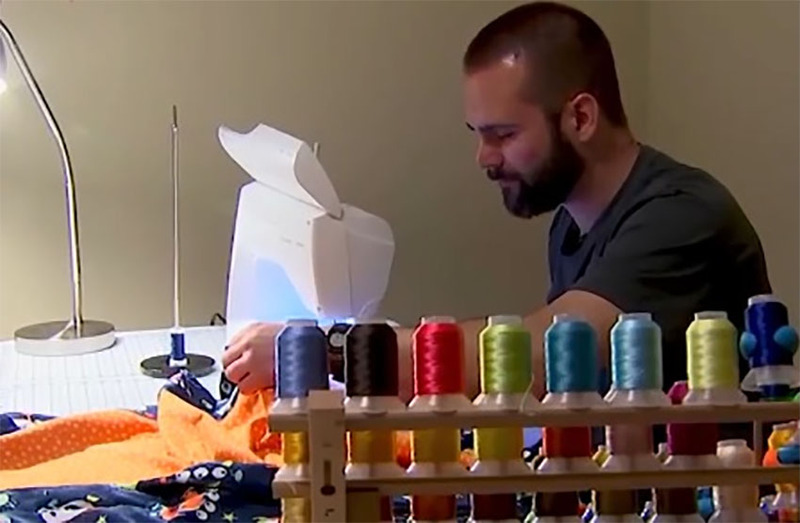 He has learned himself how to sew blankets, and the reason is that he wants to see his patients happy. According to the patients' response, he does this very well, as many mothers are quite enthusiastic about what the obstetrician does. Would you have such an obstetrician next to you when you gave the birth?